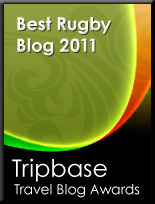 The news from the IRB that that England will undertake a proper 3-Test tour to South Africa in 2012 is good news. Old fashioned longer tours are all very well - and I'm sure will be a fantastic experience for players and fans alike. But consider the following schedule: 2011 - Rugby World Cup; 2012 - full England Tour to South Africa; 2013 - Lions Tour. At what point, I wonder, will leading English players (and I realise that I'm making one or two massive assumptions here) actually have a close season? I predict a renewal of club v country hostilities in England and a continuation of severely weakened teams being taken on tour. While I applaud the principle of encouraging longer tours, it appears that the IRB have ducked the central issue here - i.e. sorting out a co-ordinated global season to ensure that leading players are fit and available for international matches. It's not just England that will face problems. The Springboks are also due to host 3-Test tours against France and Ireland in subsequent years. 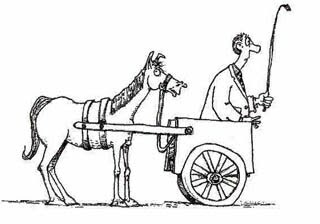 Perhaps now, then, might be good time to actually put the horse before the cart?